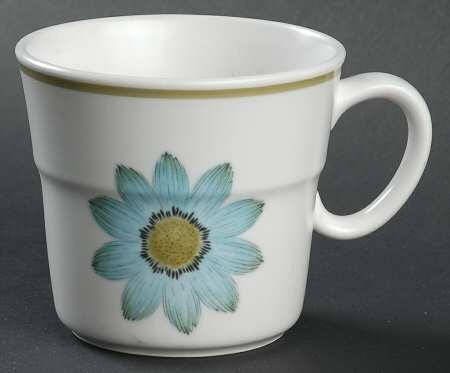 Vintage (1970s) Noritake Up-Sa Daisy 9001 flat tea or coffee cup or mug only (NO saucer). 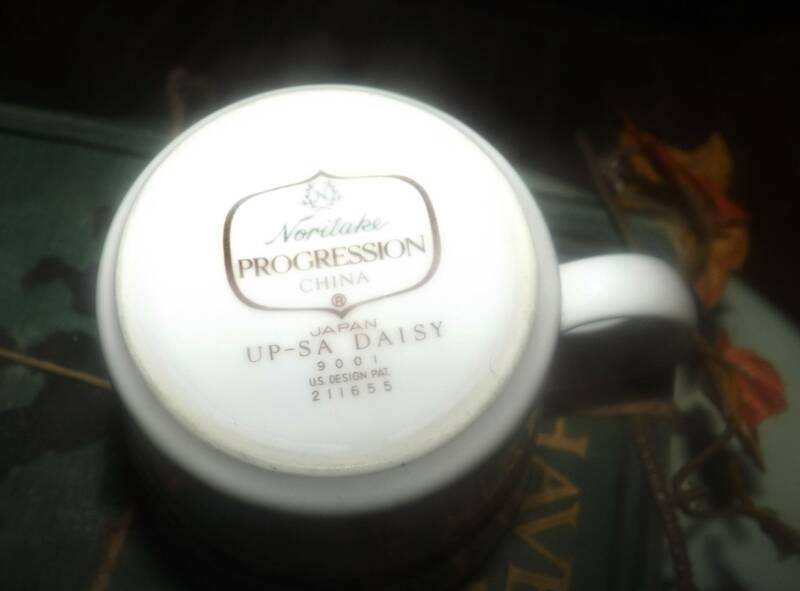 Part of Noritake's Progression Stoneware line-up, Up-Sa Daisy features, as the pattern name suggests, a large, central blue daisy with a green band set onto a white ground. In EXCELLENT! vintage condition with NO! chips, nicks, cracks, or fleabites and NO! crazing. 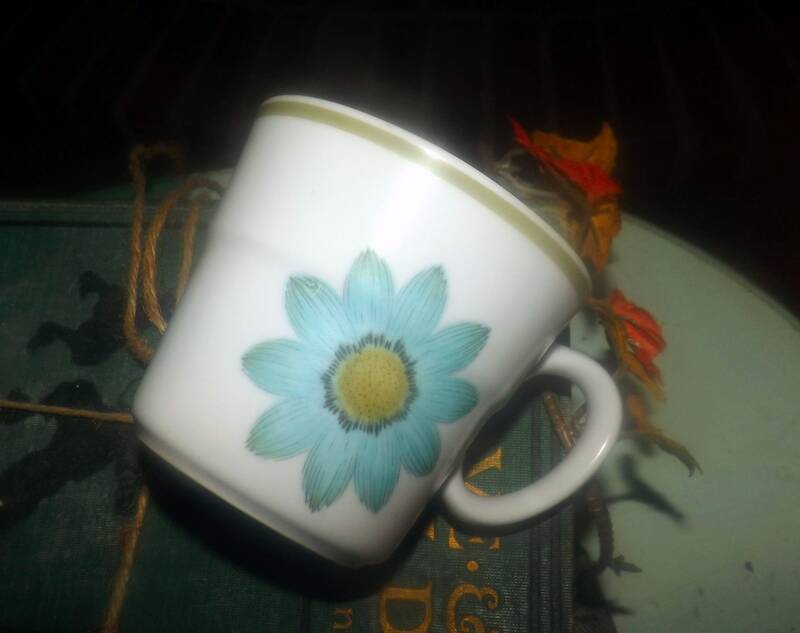 The blue daisy and green border band are bright and vivid with NO! fading apparent. Approximate measurements: stands 3-1/2" with a balanced 3-1/2" diameter bowl. 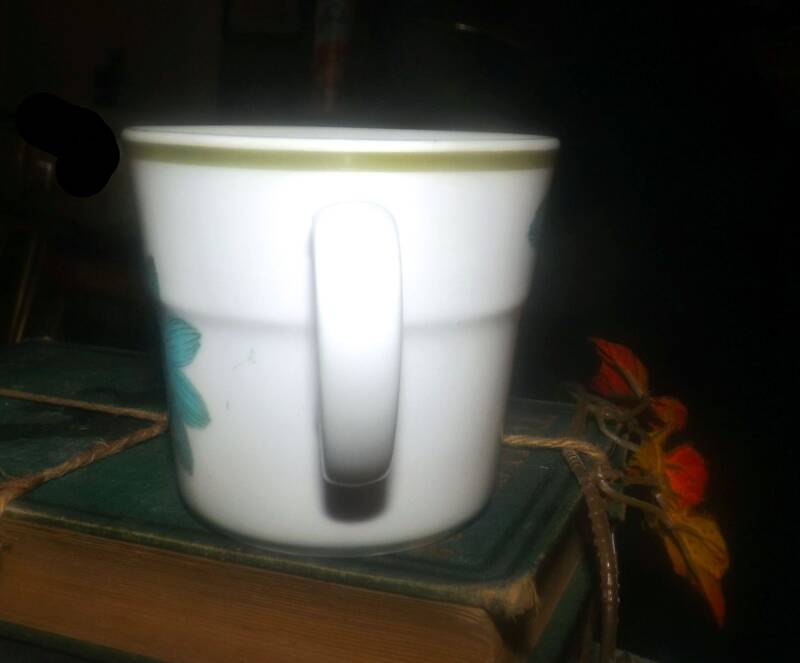 THIS LISTING IS FOR ONE (1) CUP. 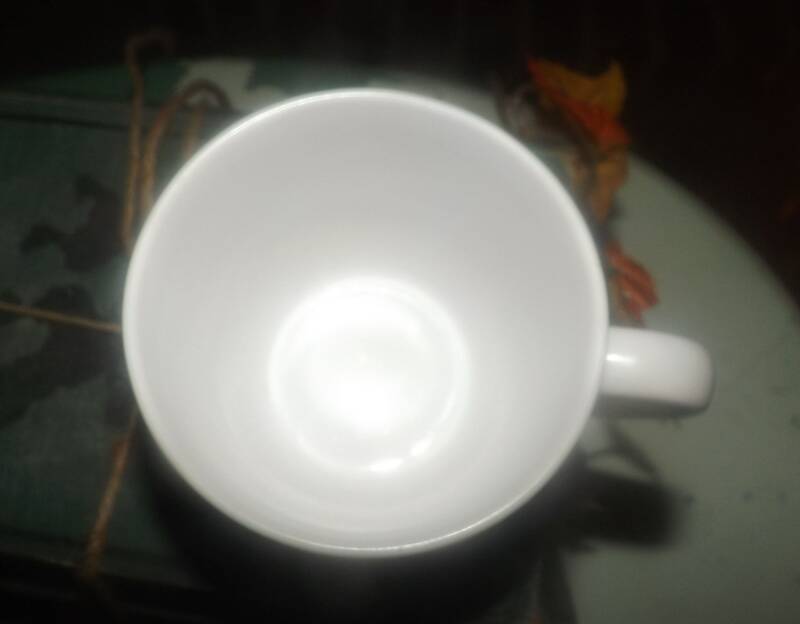 Currently, more than one cup is available in the shop.